Thor is currently advancing two high value gold projects in West Africa. Thor’s most advanced project is the Segilola Gold Project, located in Osun State Nigeria, which The Segilola Gold Project is considered Nigeria’s most advanced gold project with an indicated resource of 556,000 ounces grading at 4.2g/t, an inferred resource of 306,000 ounces grading at 4.7g/t and a probable reserve of 448,000 ounces grading at 4.2 g/t. In addition to the Segilola Project, Thor holds a 70% interest in the Douta Gold Project located in south-eastern Senegal. The Douta Gold Project lies within the Kénéiba Inlier, which hosts significant gold resources and has attracted major international mining companies. Thor is currently advancing the Makosa Discovery in its Douta Licence following a successful RC drilling campaign in 2017. Thor also holds a 49% interest in the Central Houndé Project, Burkina Faso. This Project consists of three contiguous licences: Ouéré, Bongui and Legue gold permits located in the prosepctive Houndé greenstone belt, south west Burkina Faso which are being advanced through an Earn-In Agreement with Acacia Mining Plc. Thor trades on the TSX Venture Exchange under the symbol “THX”. Algold Resources focuses on the exploration and development of gold deposits in West Africa. Its properties are located in Mauritania, including Kneivissat, Legouessi, and Tijirit and Akjoujt. The Kneivissat property is an exploration license, which covers an area of approximately 830 square kilometers, and is situated approximately 300 kilometers from Nouakchott and over 30 kilometers from the Tasiast Mine. The Legouessi exploration license is located approximately 350 kilometers north of Nouakchott and over 40 kilometers north of the Tasiast Mine. The Tijirit Property covers an area of approximately 1,100 square kilometers and is situated over 30 kilometers south of the Tasiast gold mine. The Akjoujt exploration license covers an area of over 750 square kilometers. 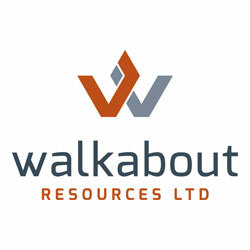 Its subsidiaries include Algold Mauritania SARL and Societe Mauritanienne d'Exploration.